Licensed practical nurses care for the sick, convalescent, injured, and disabled under the direction of registered nurses and physicians. Their primary duties include providing bedside care by measuring and recording vital signs, such as pulse, respiration, blood pressure and temperature. They also assist with personal hygiene, record fluid intake and output, collect samples for routine lab tests, administer injections, and assist with patient hygiene. The demand for LPNs is projected to continue in response to the long-term care needs of the aging population. LPNs typically complete 10 to 12 months of training at colleges or vocational schools and become licensed to work in patient care after passing the national NCLEX-PN exam. The New Hampshire Board of Nursing determines practical nurses’ eligibility for licensure and defines their scope of responsibilities, which covers a wide array of direct care services, based on the place of employment. The two BON-approved practical nursing programs in New Hampshire prepares students to provide safe and effective direct care services to patients in acute and long-term care settings. Part-time and full-time schedules provide options for working adults. The programs cover science, nursing, and general education courses in the classroom reinforced with concurrent clinical experiences at community health care facilities. Every year, nursing schools in New Hampshire turn away hundreds of qualified applicants due to a shortage of classroom space or faculty, so apply early and follow the admission guidelines, including attendance at the orientation session. The orientation session provides information on the requirements for enrollment, the roles and responsibilities of LPNs, and the enrollment process. Applicants must be 18 years or older and possess a high school diploma or GED equivalent. Letters of references, a passing score on an entrance exam and a favorable admission interview are some other requirements for entry. Upon acceptance to the program, students may be required to submit a current physical exam report and immunization, secure personal health insurance, possess professional liability insurance, obtain BLS for Healthcare Providers certification, pass a criminal background check, and complete drug testing. In the classroom, students can expect to cover topics, such as human anatomy and physiology, basic psychology, growth and development, human lifespan, pharmacology, fundaments of practical nursing, trends in practical nursing, basic nutrition, care of the family, and care of the elderly. The goal of the clinical experience is to expose students to a real-world health care environment where they can provide direct care services under the guidance of a faculty member without compromising patient safety. Students are expected to demonstrate emotional stability and sound judgment as they accept direction from a faculty director or registered nurse supervisor. During the clinical learning experience, students will build rapport with peers, patients, supervisors, and other members of staff. Program graduates are eligible to take the NCLEX-PN for licensure as an LPN. Duration and Cost of Training: The estimated cost of tuition, supplies, and fees at Harmony Healthcare Institute is $21,999. The 12-month training at Salter School of Nursing is an estimated $25,000 for tuition, books, and supplies. Both schools offer flexible payment plans for enrolled students; payment plans require a minimum 18% down payment and may be subject to interest charges. There are a few helpful sources of aid in New Hampshire, including federal loans, grants from private and public organizations, public funding for veterans, workforce development, private education loans, and the Health Profession Opportunity Project (available for New Hampshire residents). The National Council Licensure Examination (NCLEX) is a familiar term in nursing circles. All New Hampshire nursing graduates must pass the exam to be eligible for state licensure. Register for the exam just before or soon after you graduate from the nursing program and submit your application for licensure by examination at the same time. Registration is available over the internet, phone, or postal mail. The registration fee is $200. The Computerized Adaptive Test grades as you progress, giving you just enough questions to determine your competency level. Your performance will determine whether you receive the standard 85 questions or peak at 205 questions. A passing score demonstrates your competency to perform procedures efficiently as a practical nurse. Although you may register with Pearson Vue (the test administrator) after completing your nursing program, you cannot take the exam until the Board of Nursing confirms your eligibility after reviewing your application for licensure, nursing education transcript, and other vital documents. Once the Board grants approval, Pearson Testing Service will issue an Authorization to Test (usually via email). Follow the instructions on the letter to schedule the exam and take the letter along with your ID to the testing center on the day of the exam. The name on your ID must match the name you submit on the application for testing. Test results are usually available within 24 to 96 hours after the exam. You can check your status by using the “Online Verification and Nursing Assistant Registry” on the Board’s website or email the Board’s administration at [email protected] with the Subject: NCLEX. If you fail the exam, you must submit another application to Pearson Vue and the Board, and verify that your criminal records report is still valid (within 6 months). New Hampshire allows up to five (5) attempts to take the test. New Hampshire’s mandatory licensing law requires nurses to obtain a license to practice. The NH Board of Nursing defines “practicing” as the attendance at orientation or completing non-director care activities. Applicants for initial licensure must follow the Board’s directives and submit to an FBI fingerprint and NH background check. The Board cannot process the application or issue a temporary license before reviewing the criminal background check report. Nurses must obtain a temporary license before commencing any job, including employee orientation. The Board will issue the temporary permit after you submit the Application for Temporary License form and pay the fee. You can only request a temporary permit if you have an Application for Licensure by Exam pending at the Board’s office. The temporary permit is valid for 120 days or until the Board processes your exam results. Complete the application for licensure by exam. Complete the Criminal Record Release Authorization Form in your application packet and take the form, photo ID, and fee to the State Police Criminal Records Units in Concord, NH to submit your fingerprints via Livescan. The fee for the background check is $49.75 and is payable by check, money order or credit card. There are other approved Livescan sites in NH that process fingerprints by appointment only. The completed reports must go directly to the Board of Nursing. If you’re applying for licensure by exam with comparable education, you must request a transcript from the nursing education program registrar and the completed “Nursing Courses Successfully Completed” verification form signed by an administrator and sent directly from the school to the Board of Nursing. If you’re a graduate from an NH Board of Nursing approved program, you must request an official copy of your final transcript with graduation date and credential earned sent directly from the school to the BON. If you’re a graduate from a foreign program, you must submit a nationally accepted certification issued within the previous two years and endorsed by the National Council of State Boards of Nursing. The certificate should verify your educational credentials and proof of licensing. Attach a letter of explanation if you answer “yes” to the criminal history or disciplinary action questions (1through 4). Complete the Declaration of Primary State of Residency form and include a legible copy of your driver’s permit or another government-issued ID as proof of residency. Complete the Temporary License application form and pay the $20 fee to work while you wait to take the exam. Once the Board approves your application, after successfully passing the exam and meeting other requirements, you will receive a multistate license. The license allows for practice in New Hampshire as well as other Compact states without the need for a separate license. 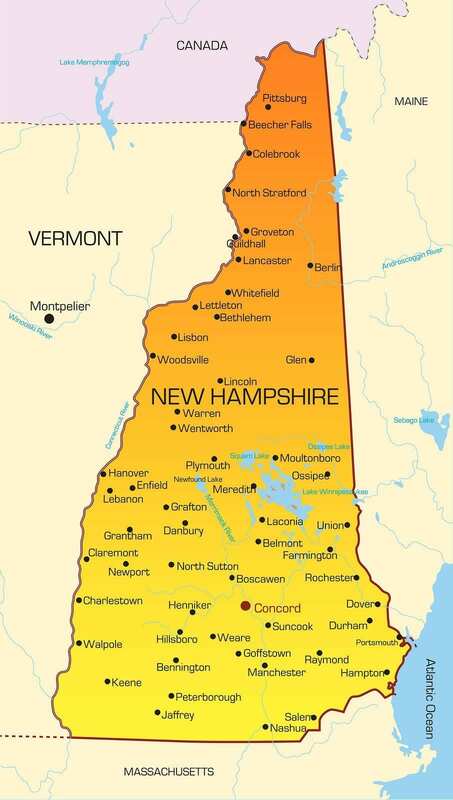 New Hampshire became a Compact state in 2006. If you possess a multistate license from your primary state of residence, you may work in New Hampshire without applying for a license. If you plan to make New Hampshire your permanent place of residence, you must apply for a license with the BON and inactivate your former license – it is not possible to hold more than one multistate license. If you hold a license from a non-compact state, you must apply for licensure by endorsement before practicing in NH. You may submit a request for a temporary permit along with your application for licensure by endorsement to begin working while the Board processes your application. Applicants for endorsement must provide evidence of practicing as a nurse for at least 400 hours in the previous 4 years and completing at least 30 continuing education hours for the previous 2 years. Applicants who successfully completed a licensing exam within a two-year period prior to the application do not need to submit evidence of work or continuing education. Proof of licensure. Initiate the process to verify your current license by registering with Nursys if your state uses the system or request he licensing agency to fill out the license verification form and send directly to the Board of Nursing. An explanatory letter if you answer “yes” to the criminal history or disciplinary action questions. The Declaration of the Primary State of Residence and a legible copy of your government-issued ID. All applications will remain open for a period of 180 days. The Board will purge all incomplete applications and documents from the system after designated timeframe. Paying the $80 renewal fee. Completing 20 hours of approved continuing education. Reporting any criminal charges, convictions, or plea agreements. Reporting any acts to discipline taken against the license holder. The Board will review the request for license renewal and notify the license holder via postal mail. The fee for reinstatement of a license is $120. The demand for Licensed Practical Nurses continues to grow as the projected healthcare needs will continue to exceed the number of available LPNs, RNs, and APRNs. The aging Baby Boomer generation calls for an unprecedented demand for acute care and long-term care nurses, even as a sizeable portion of the workforce move into retirement. These are the two primary factors that create an upsurge in the employment opportunities for new nurses. While there’s an obvious need for LPNs to fill the gap, entry into nursing education programs can be quite competitive due to a shortage of faculty, funding, and clinical sites for students to complete the training. New Hampshire schools turn away hundreds of qualified applicants yearly, forcing prospective students to consider other career paths. After overcoming the obstacle of securing entry into a nursing program and passing the NCLEX for state licensure, LPNs have to use their negotiation skills to land entry-level jobs in hospitals, nursing homes, and extended care facilities. More than 65 percent of the state’s LPNs work in long term care tending to the senior population. A growing number of LPNs also fall into public health positions, which offers an attractive salary and the opportunity to work in multiple environments. LPNs in public health attend to patients who cannot access traditional health care due to limited mobility. Patients in rural locations also benefit from the services of Home Visit LPNs. The median income for LPNs in New Hampshire is $45,800, which is more than the national median. Nurses in Portsmouth, Nashua, and Rochester earn more than LPNs in the rural areas. Make sure someone will hire a LPN. Many facilities are only hiring RN’s, and many more are requiring your BSN. Idk how legit that is considering its “Littleton” not Lettleton. NH no longer has a LPN PROGRAM, they did away with it. If you find one, it’s fake. Check with NH board of nursing, they will tell you. That is false, salter school in manchester offers it. You are correct Tammy, it is false information. LPN’s are licensed in New Hampshire. It’s always good to get the facts BEFORE opening your mouth. I’m sorry but you are wrong. You can absolutely get your LPN in NH. It’s right there on their website the steps to take. No school is going to do a program for something that’s not available. I’m currently an LPN and just reinstated my license. Yes if you were enrolled in a program before the deadline to eliminate, then you will be allowed to complete the process. If not, then you may not. Schools still offer it because you can take your LPN to another state, and complete your boards there, and then you have to transfer you’re license to NH, which is also still allowed. I’m happy you were enrolled before the deadline, and was able to complete it in NH, but seeing as I am currently IN THE SITUATION I mentioned above…I think it’s safe to say, I’m not wrong. Schools can’t just offer a program to take your money, the board of nursing will take their accreditation for that! I did my LPN at Bunker Hill Community College, and the Board of Nursing in MA requested more programs! Now I moved to NH and got my license here! I know someone who just graduated in Mass and is taking the test in NH next week. I know, because I am in this position, and now I have to spend more money and time to get my RN, or go to Vermont, and get my LPN there. There are two LPN programs in NH. Salter School and Harmony Health. They will GLADLY take your money, and you can graduate from school…your in for a nasty surprise when you try to go to the board of nursing to sit for the boards and get your license, they will look at your enrollment date, and tell you that they can’t help you! They are still hiring LPN’s they just don’t hire them at the hospital’s in NH. They still have an LPN program in Manchester at Salter School and it is not fake. 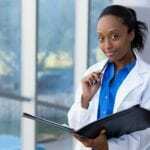 I am an LPN and never have had difficulty with finding a job !! Are you kidding me? Our facility has been running adds for awhile now….I’ve seen nursing positions in the local papers constantly all summer for many facilities in the area. River Valley Community college in Claremont NH has an LPN course and a bridge to RN program. LPN are still sought out in my area. I say if this is your dream..DO IT!!! Not true, I am a lpn and I work with children who are on life support in their homes. LPNs are alive and well. NH has many schools that offer the LPN program. job market is great. Very untrue, I worked at Lowell general for 8 years as an lpn. I now work with children on life support in their homes. I’m an lpn charge nurse in a nursing home…I have a med tech who dispenses medication and usually 4 or 5 cna’s. My DON is an RN…I love my job. If your goal is long term or home care LPN is fine but hospitals. They will NOT hire LPNs. Most of the area hospitals actually prefer a BSN in nursing. Personally I think LPN program very overpriced for the opportunity that they can offer. Danielle E Hillard you are mistaken. I am a nursing instructor. HARMONY health care institute is in merrimack nh and there is one more school. Best place to look is on nh board of nursing website. River Valley is also going in on the mall in Lebanon in the old Lebanon College building . I started out as a LPN then continued my RN education while being able to work, truly wish I would have received my RN 1st but was fortunate to be able to test out of nursing 1 and 2, they also took all my college credits towards my degree. Hard to work and go to school but if the desire is there I say do it. I’m an lpn, love my job and make a decent wage! That’s Littleton misspelled on the map..
LPN’s can work lots of places… Drs. offices, nursing homes, visiting nurses association, private duty cases and more. There are two places in the state with an LPN program. Salter School and Harmony Health Care. Emily I wasn’t commenting on how good or bad they are. I am commenting on there are two programs in the state. That’s a fact. If you do’t know where Lettleton is? You should probably go back to school? Isn’t there a time limit to passing two ur course ? There is no LPN training Ctr. in Whitefield, Littleton or Lincoln. whenI was an LPN we were warned that they were doing away with them Has something changed? Again, there are two programs. One in Manchester and one in Merrimack. I live in southern NH…just looking for opinions or general information . Where did u go to school for the LPN Program, what was your tuition, how long take it take to complete the program? Any input would be great. LPNs still are needed in various career choices. I know of Salter and Harmony. I started as a LPN and now almost finished my MSN RN. Go for what works for you.